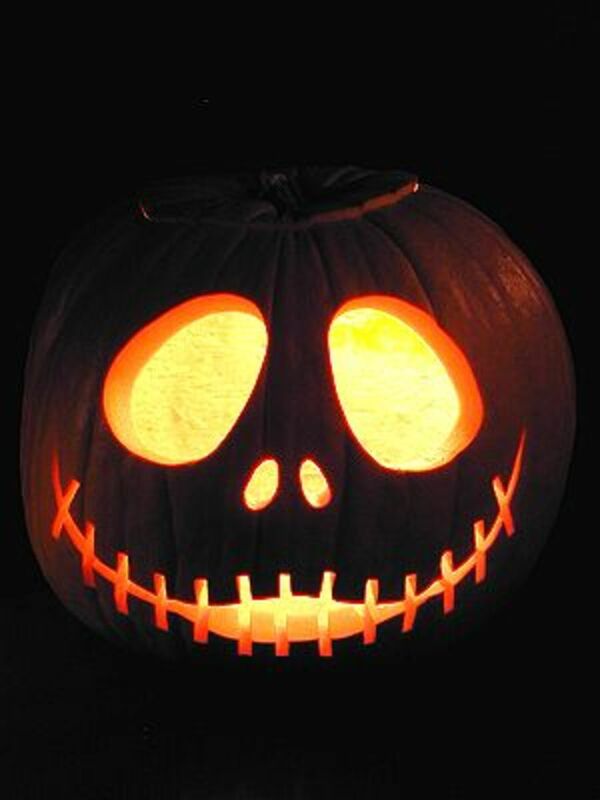 When most people think of Halloween treats, they think candy and sweets. But what about those of us that dread the candy issue around Halloween. We personally don't eat candy in our house. 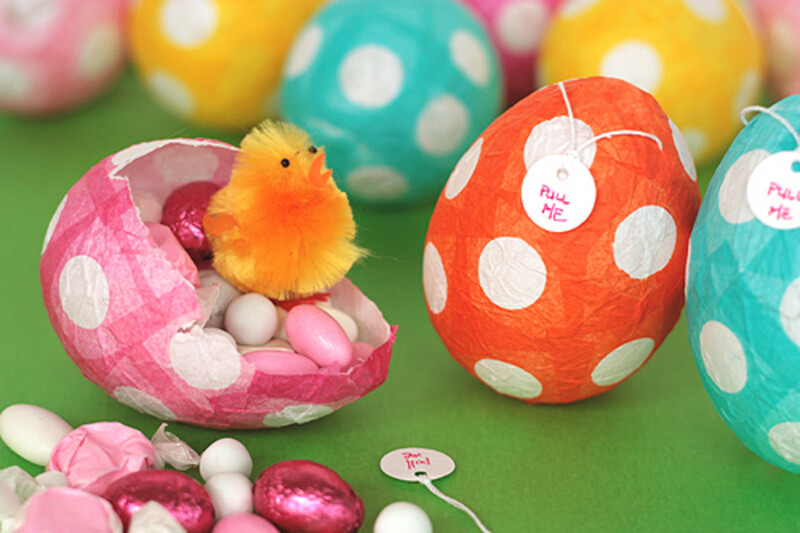 We don't eat any processed foods or refined ingredients at all, but that doesn't stop us from enjoying doing some special crafts, making some special treats and dressing up for the holiday. 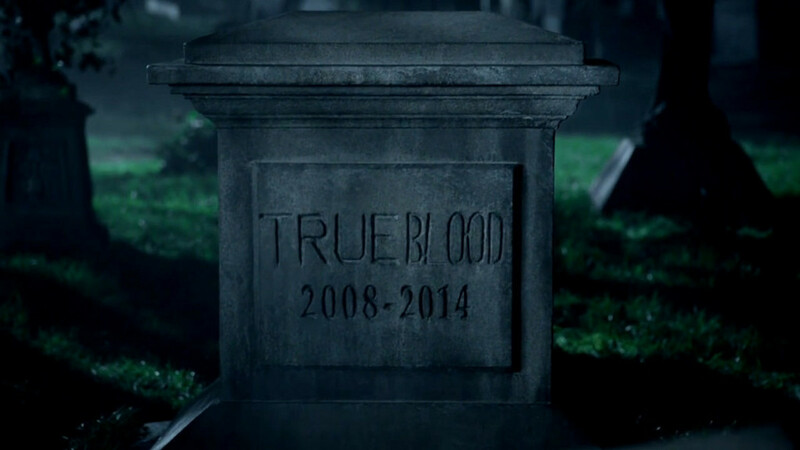 In fact, we have been on a hunt for a month now for a cape for my 4 year old son. He doesn't watch TV, so he isn't familiar with any of the cartoon characters or superhero costumes at the store. He just wanted a cape. He understands the idea of a superhero, a good guy, and has seen the idea of a cape allowing you to fly or run faster on the computer through ABCMouse, but none of the costumes at the store came with a cape that he was happy with. So we eventually just had to swing by the fabric section of the store and snag some discounted red fabric to make a cape of our own. Interestingly enough it only took one yard of fabric to more than cover his whole body and go past his feet. Thankfully, we have his old Tiger costume from when he was a baby for his little brother this year. Along with costumes, we've been enjoying doing a number of awesome fall and Halloween specific crafts together this last couple of months. 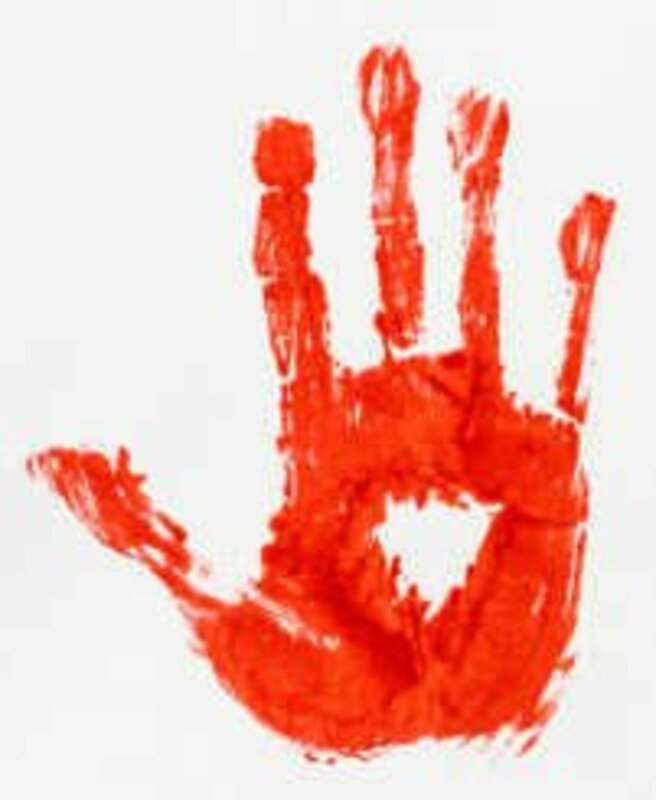 You can check some of them out in my article Fun Halloween Crafts to Do With Your Kids. My toddler wakes up in the morning asking to do crafts together over breakfast, wants to do more during lunch (between nap times), and then asks again at the end of the day before and during dinner. He's crazy for them! But you're here for treats!! Maybe you've already gotten some yummy sweet treats for your upcoming party, or that you have already made with your kids, and now you're looking for something a little healthier. This is the perfect place to look! 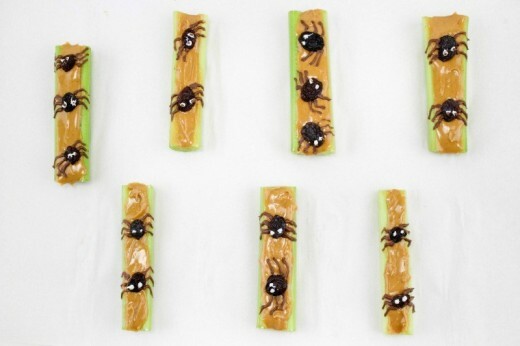 There are tons of great ideas available for making healthy Halloween treats. In this article, I've simply chosen all of my favorites for you. I hope you enjoy them! Doesn't this look amazing?! 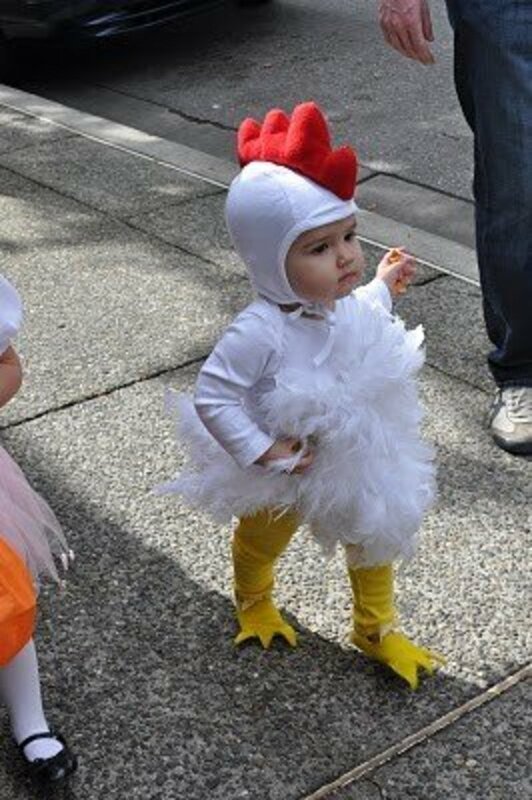 I can't wait to make this for my friends and family on Halloween. It's fun, easy, and full of healthy, wholesome foods from Kitchen Fun with My 3 Sons. Yum! My little guy is going to go crazy for this! And what's even better is that we can use this guy over and over again throughout the year for parties, fun snacks, and when we are learning the skeleton. He's already super interested. Laura at Feeding My Four Little Monkeys provided this recipe. How easy would it be to toss some of these together?! Bright, fresh, colorful and festive...top these with some homemade whipped cream that only takes a minute to whip up, and you've got a truly healthy treat for your kids. Check out Family Fresh Meals for the recipe. This precious recipe by Two Healthy Kitchens really caught my eye. They're adorable and healthy all at the same time. Serve them with some yummy homemade caramel sauce and you'll have a real treat for all of the little monsters in your life. This festive treat does use a bit of white and dark chocolate for the spiders' various characteristics, but used minimally, or creatively substituted out for something else, these creations by Oh My Creative will be a real show-stopper. My son absolutely loves peanut butter, celery, raisins and chocolate. 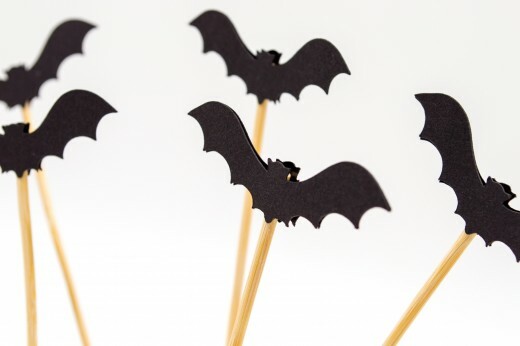 I'm absolutely in love with these precious crispy bats from Simply Recipes. 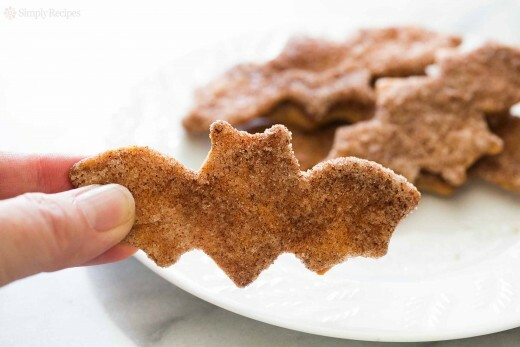 Just using a simple bat cookie cutter and some store-bought flour tortillas, you can have some great sweet but healthy treats for Halloween. Make them whole wheat tortillas and use coconut sugar in place of sugar, and they'll be even better for you! You can really make these easily any time of year, but cut out some little faces out of them and you've got a pumpkin treat perfect for Halloween. Babble really nailed it with this cute treat! They even used coconut oil, which is what I would have recommended. Yum! 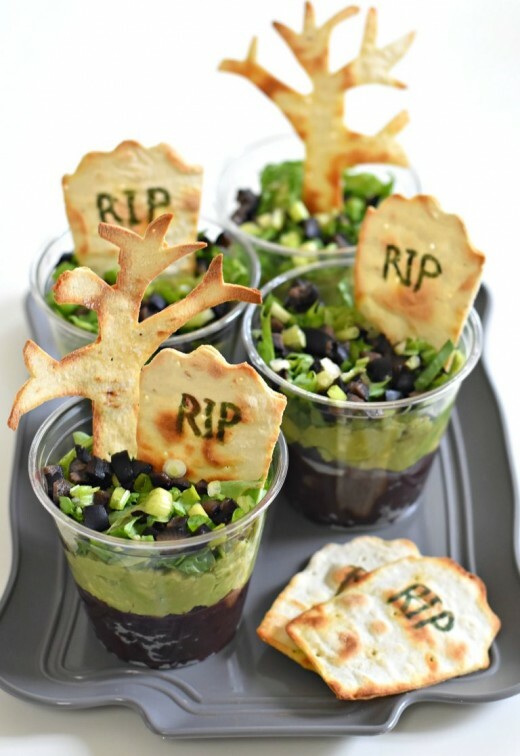 Black bean and guacamole cups, who could resist?! 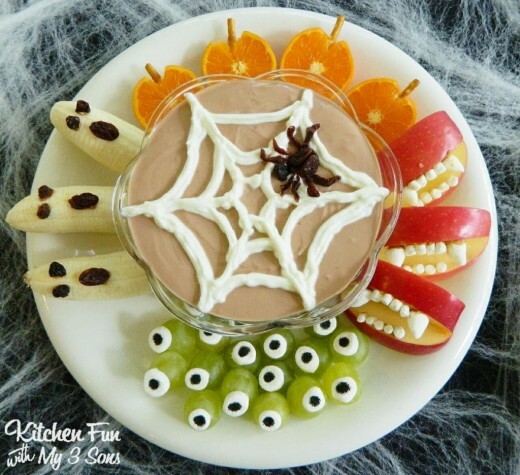 I may not wait for Halloween to make this scrumptious snack from Fork and Beans. You may want to make a bunch of these if you're expecting a crowd, or have some rather hungry boys at home, because they're going to go fast. 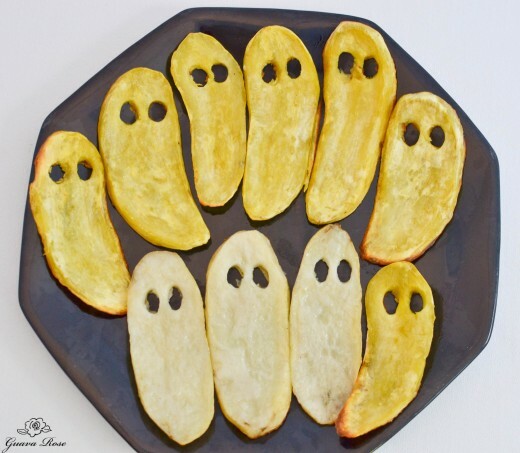 Just like the previous post on Jack O' Lantern Sweet Potatoes, here's ghosts. I posted this one from Guava Rose just for the sheer creativity. You can't possibly have too many sweet potatoes can you? 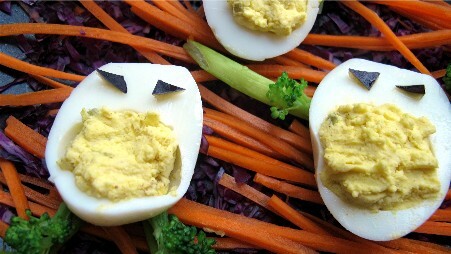 This is an adorable spin on deviled eggs that made me smile as I came across them. I had to include them in this line-up. PBS Parents has some cute ideas, but this one was explained all the way at the bottom. You could mix in guacamole for ghoulish green slime, or leave them as is, but the olive eggs make this one. I just had to finish with this one, because, well...isn't he cute?! And who doesn't love some guacamole! Fresh Direct posted this adorable fella, and I have to tell you the truth, this guy would need to be pretty big to last at our party. Or I guess we could make a back-up. We really enjoy our guacamole. 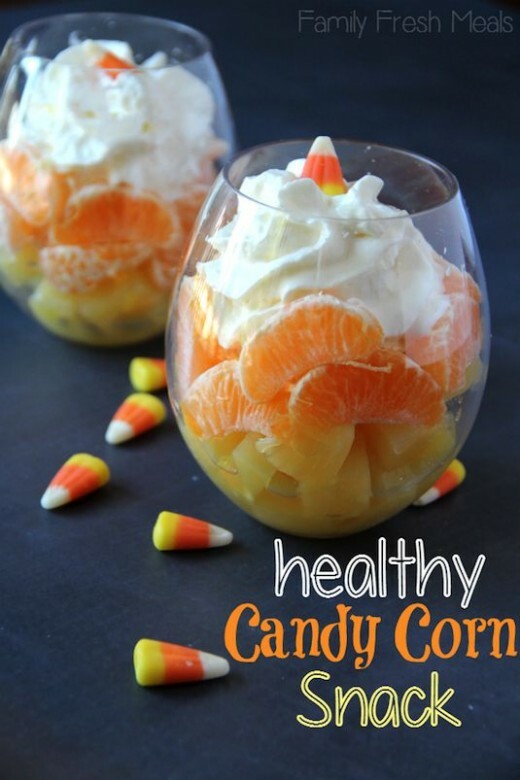 You truly can have a great party at your house with some fantastic, healthy treats just perfect for Halloween. But there's no reason to wait! 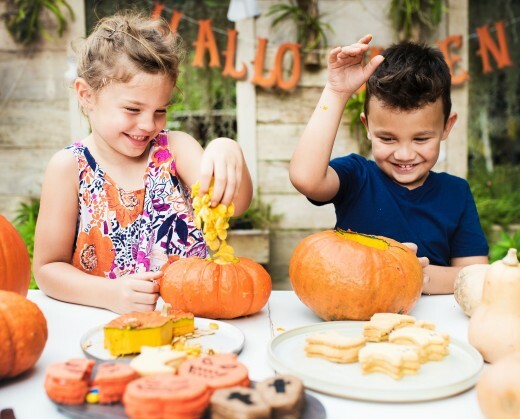 Get your kids involved, make some hot drinks, pull together some delicious Halloween treats, and get started on some crafts. That's what we're doing at our house! It's easy to get into the season when you surround yourself in it. 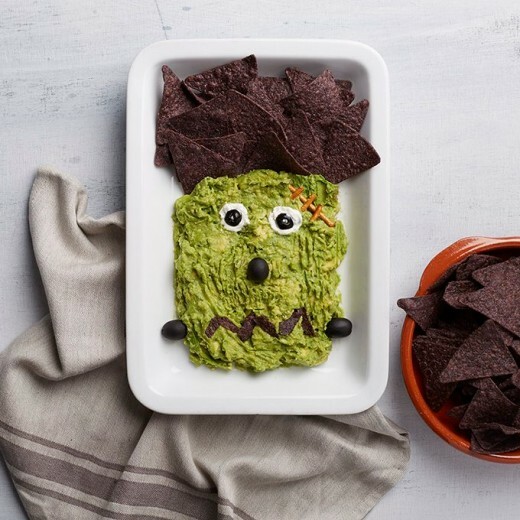 What better way to get the most out of this upcoming holiday than to pull together some fun Halloween themed snacks for everyone to share. You could even pull out some great books to read together while you're enjoying your snacks! Whatever you do, enjoy yourselves! lol We just really enjoy creating around here, so making fun snacks, or party foods for the upcoming holiday is right up our alley. Don't these look delicious?! 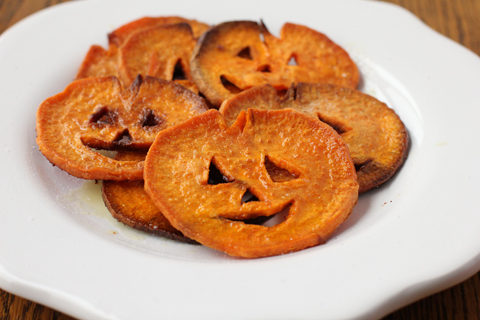 My favorites are the sweet potato ghosts! Victoria you skamp you! All of this is on the "platter". The next five days of carving and making scary signs will also have us learning to make your ooey gooey good stuff. "My boy and I have yet to find a holiday that was not worth celebrating". How about Tet New Year in a Christian home. Celebrate and love life we say. 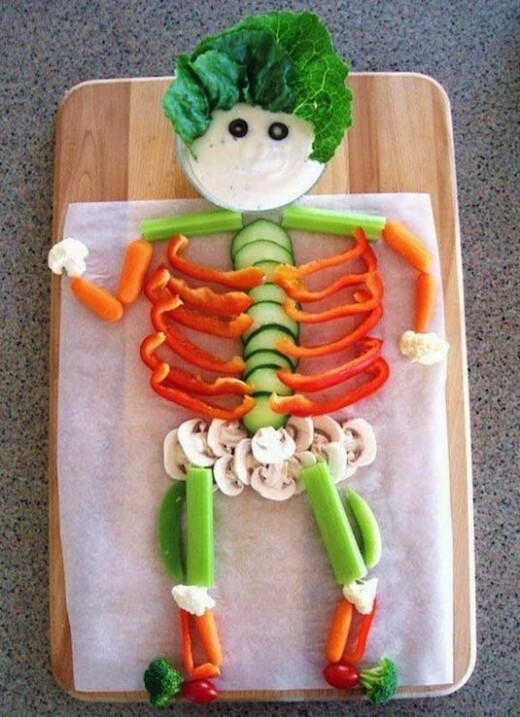 You have made some very unique, healthy snacks that I am sure your kids loved. 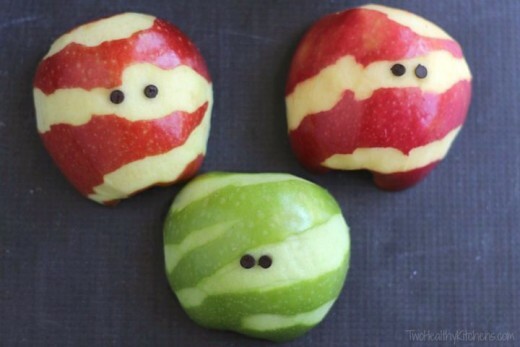 I love the wide variety of fruit and vegetables you used for this Halloween project.